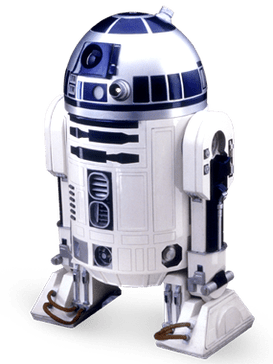 I am sure every StarWars fan knows what I mean but for those who don’t, R2D2 is a robot in Star Wars who is an ever-resourceful astromech droid with features like Lightsaber port, Fire extinguisher and more. Of course, we could not afford to get the real R2D2 but have recently purchased a robot vacuum cleaner for the home which AS named R2D2 or Artoo for short. Few cleaning products have sparked as much interest in my dearest hubby as the robot vac. As he is the one who mostly vacuums our place, he claims that it is the best thing he could buy to help him. I think he has secretly hoped that he will be able to sit down and relax while an artificially intelligent device cleans the house. 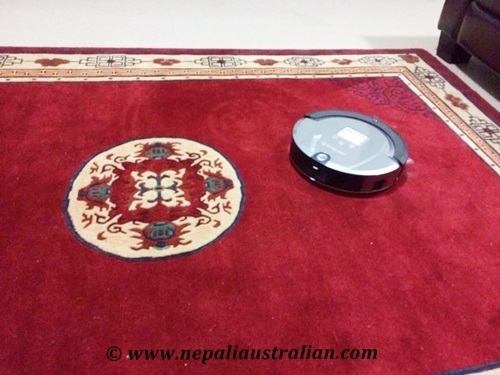 I am sure most of you have heard about Robomaid Robot Vacuum for a while but it doesn’t come cheap and that was the excuse we had not to get one. But recently our local store advertised a cheaper version ($169) and AS got very excited. He was convinced that it works well after his extensive research that he decided to get it. He also read that it is quite popular and may not be easily available so he knew he had to be there when the shop opened on the advertised day to get his hands on one. So on the particular day, AS dragged me with him before the store opening time and we waited 30 minutes outside to get the Artoo. Funnily enough there were many people waiting for the store to open, which reminded me that my husband is not the only one who is robot crazy. Anyway after buying our new Artoo, he charged it up and demoed it for my knowledge. I have to say I am impressed that Artoo is quite good at picking up dirt from the floor and for the price we paid, it is well worth it. He let it run for around 3 hours and the whole house was clean including the kitchen. Yesterday I took it to my walk-in closet and pressed the button, and Artoo was ready to start the job; I left it inside for 5 minutes and when I went back, the room was cleaned. It is a lot quieter than I expected that we had it running around when we were watching TV and we had no problem. Artoo can mop as well if we attach a damp micro fibre cloth to its underbelly which allows it to mop the floors as well but we still need to try that out. If it gets stuck or caught on something, it beeps for help but we made sure to move everything out of its way to make sure it cleans the whole area properly. I am sure we have to vacuum with the “manual” vacuum from time to time but for a quick clean Artoo is a winner. If you are thinking about buying one, I will say go for it and you won’t regret it. It will give you some extra time to do other jobs or enjoy life a wee bit more. If you have one do share how you are liking it. It is so new for us that we are loving it and it is fun to watch how it works and avoid walls and objects in its path. 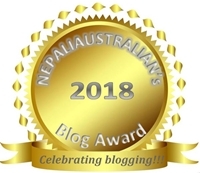 This entry was posted in Technology and tagged Artoo, australian, M from nepaliaustralian, nepali australian, Nepali blog, Nepaliaustralian, R2D2, Robomaid Robot Vacuum, robot, Robot Vacuum, robot vacuum cleaner, star wars. Bookmark the permalink. wow this is a very interesting..I found your hubby enthusiasm quite endearing..as my hubby is the same. He got too excited about steam mop and we bought one 2-3 years ago when it was quite new concept in the market. It was ok, didn’t do all the things as they showed on Telly.,like steam cleaning the shower and steaming laundry so you don’t need to iron it. It does ok job of mopping floor. My recommendation is buy steam mop, if it’s like really cheap. Don’t buy $200 one like my hubby did.